Cochlear ear implant is an electronic device that replaces the lost functionality of the damaged parts of the cochlea. 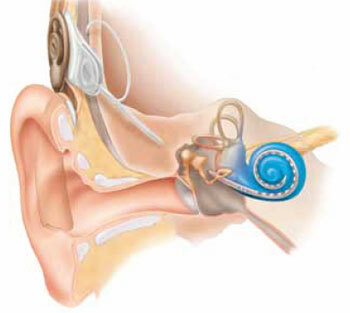 It is planted inside the ear and is commonly known as Cochlear Implants. It is not a hearing aid that amplifies the sound; rather cochlear ear implant sends sound signals to the brain. It is recommended for people with severe to profound sensorineural (inner ear) hearing loss in both ears and cannot benefit from hearing aids. Children in particular are the greatest beneficiaries of this technology as the increased sound stimulation during the developmental window that occurs during early childhood helps them to adopt and adjust to these cochlear implants rather quickly and conveniently. Please consult a doctor, ENT specialist or an Audiologist to know more about this technology. Or simply call 03 9852 4440 for more details. Sincere thanks to Cochlear Ltd for their permission to use this content.